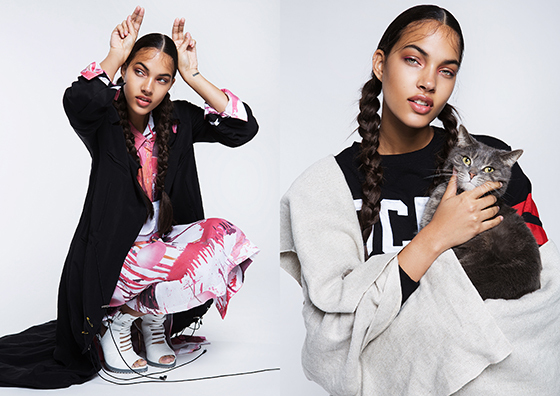 PUSS PUSS is a very quirky London based magazine that fuses art, fashion and culture with a feline theme in each issue! Janai devised a ninja style concept incorporating a layered aesthetic, Asian inspired silhouettes and monochromatic tones with little pops of pink and red throughout. Bassike was used for its current Asian inspired lux collection with warrior-esq pants in lavish fabrics like linen and silk. 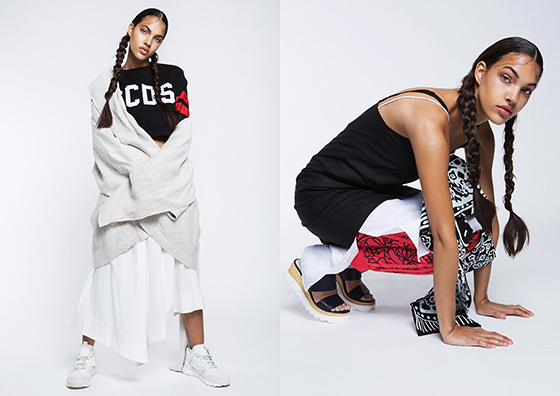 This was mashed up with American street wear label GCDSwear for elements of grunge. We posted an ad on Facebook for use of a kitty cat for the shoot day. There were more than 100 responses! The winning cat was called Jean-Claws. Jean was a little hesitant to be in a photographic studio but Janai regularly coaxed him out from under the sofa and encouraged him into handbags, bomber jackets and kimonos where he seemed quite comfortable after a little settling. 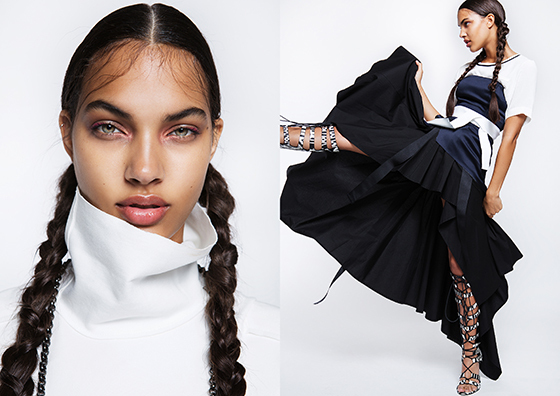 The model was new face Jessica Strother from the US. Her amazing face suited the theme perfectly, and hair extentions and long plaits accentuated the theme further. Kristyan Low channelled Janai’s pink accents with fuchsia toned eye shadows used subtly in the corners of the eyes to accentuate the fashion.